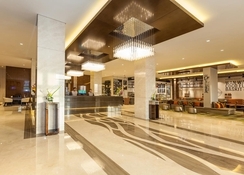 Flora Al Barsha Hotel is a four-star deluxe property situated in the heart of Dubai's business and leisure district of Al Barsha, and dedicated to provide quality guest services to travellers. The hotel believes in accountable and culture based eco - tourism and provides the reassurance that its top notch facilities have met environmental best practices. The strategic location of the hotel offers access to several leisurely attractions in close proximity such as – Jumeirah Beach, Dubai Miracle Garden and Global Village within a 20-minute drive radius from the hotel. The Al Barsha district is a great choice for travellers curious about shopping and luxury brands. The closest airport to Flora Al Barsha Hotel is the Dubai International Airport – at 26km! 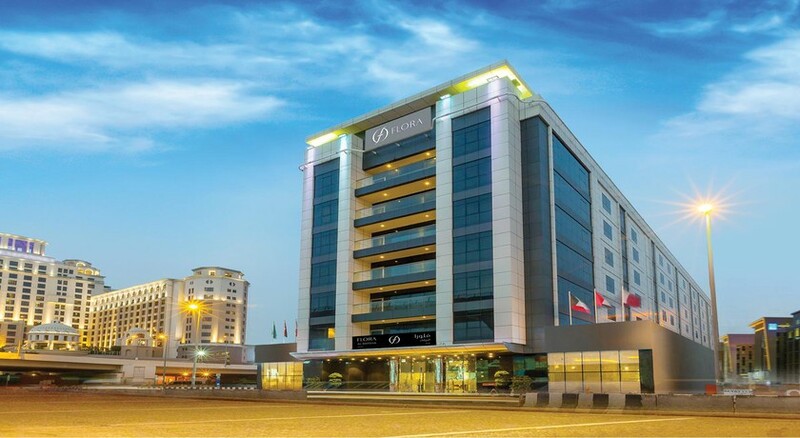 Located on the posh Sheik Zayed Road in the Al Barsha District, the Flora Al Barsha Hotel enjoys proximity to several tourist attractions, such as the Mall of the Emirates, Jumeirah Beach Residence, Jebel Ali free port etc. Being centrally located, the hotel offers easy accessibility to farther tourist attractions via the metro, bus or taxi. Located relatively close to the beach, the hotel offers some of the best views of The Palm Jumeirah, The World Islands, Burj Al Arab Jumeirah – the tallest building in the world, etc. 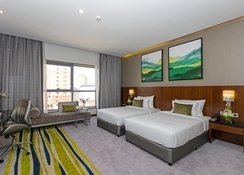 The hotel's 186 guestrooms are elegantly designed and spacious. Rooms come in types of Classic Room, Deluxe Room, Premiere Room, Executive Suite, Premiere Connecting Room and Two Bedroom Deluxe Suite – all equipped with modern, contemporary interiors that includes king or twin beds, en-suite bathrooms, 46" flat screen LED TVs and complimentary Wi-Fi. 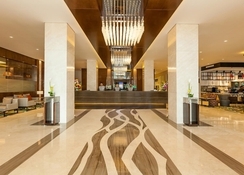 Guests can relish multi-cultural cuisine at the Flora Al Barsha Hotel Dubai with daily breakfast buffet and a la carte choice of seafood, Mediterranean and Amritsari cooking – a type of Indian cuisine. A coffee lounge with a good variety of premium coffees and a la carte menu of exquisite pastries and sandwiches is open 24x7. The hotel has a large swimming pool where guests can relax. Guests willing to stay active during their holiday can head to the well-equipped gym. There is an exercise studio, a steam bath and sauna, Moroccan Bath and a temperature controlled swimming pool. 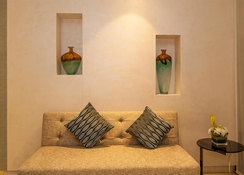 There are exotic spa treatments available at Serenity Spa & Wellness Centre. The neighbourhood is a shopper’s haven.